Day 3. I had big plans for making a little collage of my run from yesterday, but I forgot to take a picture of my cute running buddies. I also forgot to take a screenshot of the challenge page and alas the day has advanced. But I did my mile. 1.23 to be exact. While Noel mowed and edged the yard yesterday morning, I had John lace up his running shoes and threw Mark’s bike in the back of the car. We headed to our favorite path around the little pond near the boys’ school. Two laps around and we were done. Good thing too, because it was muggy at 10am. I thought we were supposed to have a hot, dry summer, and so far it’s been nothing but HUMID. I can handle the heat, but the humidity gets to me. Here’s what I wore yesterday for my run. More booty shorts…purple ones! I paired it with my favorite Target top. They changed them this year, and I was bummed. I LOVE these tops and they are inexpensive too. Not that I really need anymore since I already have five hanging in my closet. I gave a bandana a try instead of my usual Bondi Band. It kept the sweat out of my eyes and has cute little blue birds on it. My Saucony Guide 7s are on their last legs. I’m going to be sad to retire these bad boys. They’ll probably be my last pair of Guides since I switched to low drop shoes. I have a new fuel obsession. 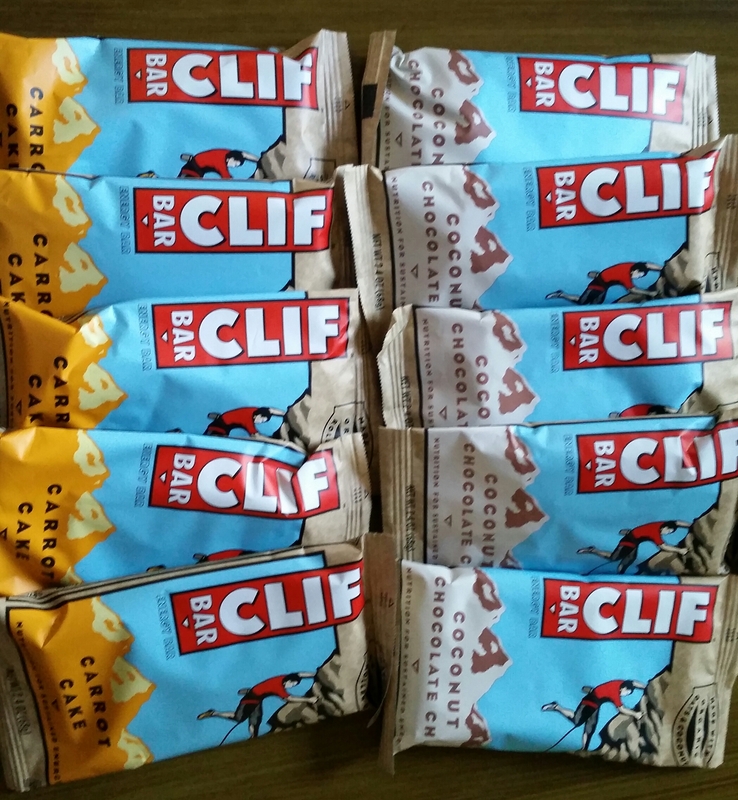 Clif bars. An ultra runner friend of ours told me that’s what he eats, so I thought I would give them a try. These are my favorite flavors! Our grocery store has them on sale 10/$10 so I stocked up. John likes the kid ones A LOT. He’s supposed to try the Iced Oatmeal Cookie one today and let me know how it is. So far the brownie is his favorite. I can’t wait to give them a try on a longer run. 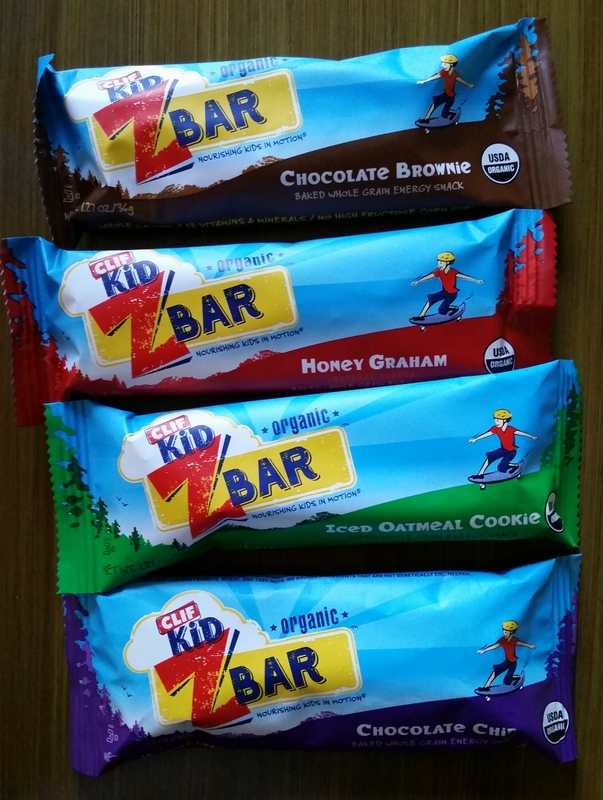 I bet I’d only need one bar for a whole half marathon since they have about 240-250 calories in them. What fuel do you use on runs? Are you a GU fan or do you use something else? I currently use Stinger Energy Chews, but I’m always open to trying new things. I’ve tried two kinds of gels and they just don’t work for me. I have to have something more substantial that sits better on my tummy. I discovered Chia Bars last year at the NYC Marathon expo, and then again at the Brooklyn Half pre-party a few weeks ago… decided to buy two boxes, and they were a great fuel for me during my race. I got a box of chocolate peanut butter and a box of banana nut. SO GOOD. And an article more about chia: Can Chia Seeds Help You Run Longer and Faster?